There’s a pivotal question about call centers that is being continually asked in an era of globalization: Why is investing in an onshore call center for customer service good for your business? In an ideal world, every leading brand would be utilizing onshore call centers to handle every aspect of their business. In fact, according to a report from Everest Group, the number of contact center outsourcing to onshore call centers continued an upward trend, rising to 53% in 2015. This is because companies are learning what onshore call centers can do, while still providing excellent value and intangible benefits. Boutique onshore call centers can be grouped as call centers located within North America where native English speakers provide customer service. These are the premier go-to provider for excellent customer service, sales, retention, and other key services that impact a brand’s bottom line—and most importantly—a brand’s reputation within the marketplace. Generally, offshore call centers get a bad rap. While perceived as cost-effective (read: cheap), you end up only getting what you’re paying for—and sometimes, even less. Foreign accents and a lack of fluid English can easily irritate already-frustrated customers. Some improvements, however, have come into play, such as the recent surge in call centers in the Philippines, but this does not mean that parity between onshore and offshore call centers has been—or ever will be—reached. The key advantages and disadvantages between these two options—offshore and onshore—hinges on what you as a company desire. There is always a choice between competing priorities like price and quality of service. However, it’s always understood that customers prefer getting excellent service that solves their issues and provides them with a pleasant experience. There are plenty of reasons why an offshore call center is less expensive than an onshore call center. Chiefly, wages in many developing countries are lower than what North American workers are paid. With current technologies, it is far easier to access customer data and provide service from abroad. Be sure, however, that the people you pay to provide customer service have the best possible training that will allow them to act as superior ambassadors for your brand. There are many constraints to outsourcing customer service abroad. Some of these factors, like language or cultural barriers, are common knowledge—but others, such as hidden costs or the difficulty of building a unified team—may not be as well known. Although you may secure the services of a call center with English-speaking agents, their understanding will still be limited by regional dialects and cultural barriers. The norms of Asia or other countries may not easily translate to North America and vice-versa. This can hamper effective communication during inbound and outbound calls significantly—even doubling the effort required to settle consumer issues if the customer is forced to call back again and again. Today’s consumers are not easily pleased because better technology, heightened competition, and other factors have raised their level of expectations. If your customers are having issues, hearing someone out-of-touch and far away will accentuate their sense of injustice that their needs are given such a low priority. 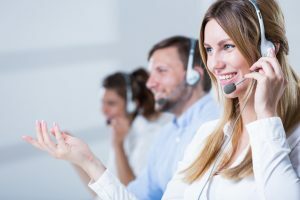 Are the technology and personnel of your foreign call center reliable? Unfortunately, outsourcing leaves you vulnerable to even more threats as far as fraud, theft, and other nefarious conduct is concerned. The security protocols just aren’t in place. Certain regulations and laws mandate standards and common practices that may not be met with an offshore call center. There is also the issue of training staff, which will not be as simple to do as it would with an onshore call center. Getting call center agents who can improvise beyond a simple script is not something easily done with an offshore call center. The geographical space between an offshore call center and the customer can translate into a diminishment of customer care. Your customers may not feel like they have that deep, personal connection to your brand anymore. As much as technology has improved, the challenges of pulling a team along into new initiatives for sales, retention, marketing, or other endeavours becomes magnified many times over when dealing with employees abroad. Gone is the camaraderie of working together and easily being able to communicate with known quantities. Now you have to factor in language barriers, different time zones, and local customs that may severely impede attempts to collaborate and communicate in order to implement company objectives. Usually, an agent abroad can only be trusted to learn a script. A more nuanced approach that paints them as a helpful expert may simply be beyond their grasp. These include the direct costs of doing business such as foreign taxes, exchange rate conversions, and any travel abroad to supervise operations and indirect costs, like paying for longer call handling times due to language barriers or lack of effective problem-solving skills. There is also the threat of poor customer service causing damage to your brand that will end up costing you future sales. This is why an onshore call center is good for your business. 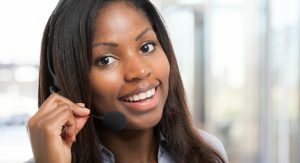 By providing call center agents with a superior grasp on English, as well as the ability to connect with customers, you are vastly ameliorating your business in both tangible and intangible ways. Wait times and call volumes are lower, which makes costs easier to manage and improves customer satisfaction. An onshore call center is a game-changer because the proximity allows for smooth training, communication, deployment, and many other functions that will be critical for your business’s customer service. Furthermore, cost savings may not be dramatic when you compare offshore to onshore and recognize the full list of benefits of onshore call centers. 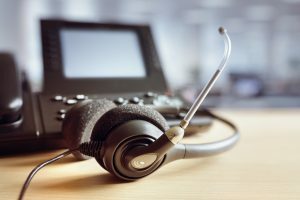 Also consider the prospect of using an outbound onshore call center for sales: The ease of connection, language, and product knowledge will go a long way to creating a genuine, lasting rapport with a customer that ultimately increases your sales. We live in an information age, and it can benefit your business when the customer service team that you outsource to is empowered with the right technologies. From superior recall of customer data, to lighting-fast connectivity, an onshore call center in North America simply has better tools for the job. Furthermore, the advanced technology utilized in North American call centers means your customers’ data is even more secure thanks to antivirus software, firewalls, and other precautions. You also have an easier time gaining transparency into the operations of the call center itself, should you wish to continually monitor operations. 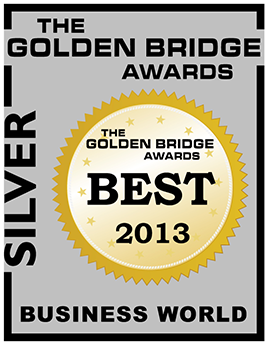 Our Canadian location allows us to handpick the very best call center agents for our team. This is why 3C Contact Services is able to provide exceptional customer service among onshore call centers. We maintain high expectations for our call center agents, while simultaneously supporting them with the latest in training methods and cutting-edge tools to encourage their success. Members of our team will be thoroughly trained and know your business almost as well as you do. Contact us today to learn more about us and the dynamic services we offer.